F-Energies GmbH is a holding company owned by the Frizberg family of entrepreneurs with interests in mechanical engineering (hydropower turbines, electromechanical equipment for hydropower plants), electrical engineering and building services engineering. As an owner-managed holding company, we attach great importance to close cooperation with the management and employees of the subsidiaries and focus primarily on the strategic management and further development of the companies. In addition, F-Energies GmbH takes care of the areas of organization, marketing & communications, human resources, strategic purchasing, accounting, controlling, law, quality management, and IT. “As a family-owned company, it is already a tradition for us to live and develop future orientation in the area of tension between sustainability and innovation. That was, is and remains our passion." After studying law, Dr. Gilbert Frizberg joined the family business in 1979 to join it in the 4th generation. In addition to the completely rebuilding the former electricity and heat supplier, the company continued to develop into a dynamic, industry-oriented service provider and hydropower specialist. 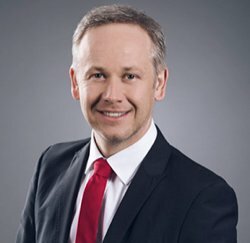 His responsibilities as Managing Director and majority shareholder of F-Energies GmbH and its subsidiaries include strategy and organization, HR, and marketing and communications. Speaking of family businesses: Dr. Gilbert Frizberg, his brother and his cousins directly and indirectly own 100 percent of F-Energies GmbH. In addition to his activities in the family business, Dr. Gilbert Frizberg was Chairman of the Supervisory Board of Verbund AG and previously served as Vice President of the Styrian Chamber of Commerce as well as Member of the National Council and Parliament (including Energy Spokesman, Industry Spokesman and European Spokesman). “This family-owned company carries growth, courage, and an eye for the world market in its DNA. In this way we are constantly tapping promising international potential for the F-Energies Group and its competencies – as the positive development of the company shows." 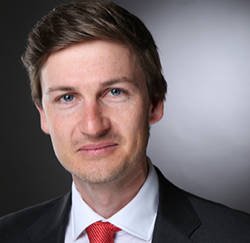 The graduate of the Joanneum University of Applied Sciences (Urban Technologies studies with a focus on “Energy and Environmental Technology" and “International Financing Concepts") initially spent eight years as commercial manager at an international technology group. Since 2008, Heinz Peter Knaß has played a key role in shaping the development of the F-Energies Group and also acts as Managing Director of the subsidiaries Global Hydro Energy GmbH and Hereschwerke GmbH. He is responsible for finance, technology, and project management. “In the field of technological innovations, we are always at the forefront of the industry. The road to successful solutions in energy technology will clearly lead through the F-Energies Group in the future, too!" Since 2017, Richard Frizberg has been a representative of the 5th generation of the Frizberg family. After studying law, he spent five years in business development at Kapsch TrafficCom. He is also responsible for this area at F-Energies GmbH. 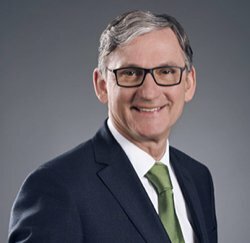 Richard Frizberg is also Managing Director of Franz Heresch & Co GmbH and a member of the management team of the subsidiary Global Hydro Energy GmbH. In this company, owners have come together who are equally committed to sustainability and innovation – in a constant effort to transform the power of water into future-oriented solutions. In addition to F-Energies, Invest Unternehmensbeteiligungs AG and Oberösterreichische Beteiligungsgesellschaft m.b.H & Co KG, as sustainable financial shareholders, are guarantors of continuous expansion. The success proves that this endeavor is right, as the growth of FE Future Holdings GmbH proves. For 80 years, small-scale hydropower technologies have been developed at the site located directly on the Danube in Niederranna in Upper Austria. Today, Global Hydro Energy is successful worldwide with its outstanding engineering and manufacturing expertise in Kaplan, Pelton and Francis turbines ranging from 100 kW to 25 MW. Global Hydro Energy is a complete electromechanical supplier for hydropower plants, supplemented by its own products for control and regulation. In the meantime, the company has grown beyond its location in Austria, has subsidiaries in Norway, Canada, Turkey, Indonesia, Colombia, Chile and Vietnam with currently 200 committed employees worldwide, and continues to expand. Hereschwerke offers a comprehensive range of services for electrical engineering and building electrical engineering. Private and commercial customers rely on smart solutions from consulting and project planning through installation to commissioning and beyond. In the top-class team of around 130 employees, each individual stands for the high quality of the solutions and services. For each project, a dedicated project team is put together from this large pool of qualified and committed employees, who are passionate about the challenge at hand and who can meet both the current task and the entire life cycle of the project.